There are currently two Disneyland® Resort Parks; Disneyland® Park and Disney California Adventure® Park. Both Disneyland® Resort parks require admission and our Disneyland® packages include admission to both parks. 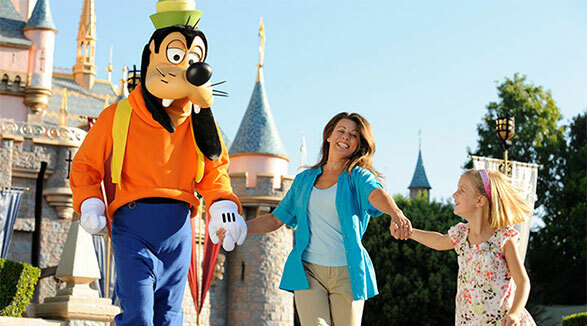 Disneyland® Park is the first and original of all Disney Parks and has eight lands. Disney California Adventure® became part of the Disneyland® Resort in 2001 and was reimagined with a grand reopening in 2012 with eight themed areas. 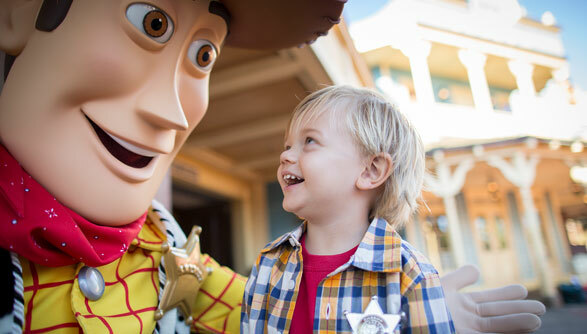 Our standard Disneyland® packages come with 3-Day Disneyland® Resort Park Hopper® tickets which allow admission to both Disneyland® Resort parks each day that your ticket is valid. Tickets can be customized for each package. Because there is so much to see and do and the Disneyland® Resort parks, we recommend staying as long as possible. That way you can enjoy the Disneyland® Resort parks at a leisurely rate and have ultimate flexibility.